The ultimate decision as to whether a water heater replacement in Chandler, AZ. may be effected or not is largely determined by the financial resource endowment of the respective homeowner, as well as the project’s overall cost. It is therefore of absolute importance for the respective owner to conduct a thorough due diligence to ensure that they indeed need to have the water heater replaced. First-hour rating is the amount of hot water that a heater may deliver within the first hour of its use especially after it is recovered to the thermostat level. It is calculated as a percentage of the tank capacity. This rating generally declines with time owing to the diminishing efficacy of the heating element of the water heater with continued use. As a general rule, should this rating fall below the reasonable threshold of around 50%, then it is probably about time to consider a replacement. 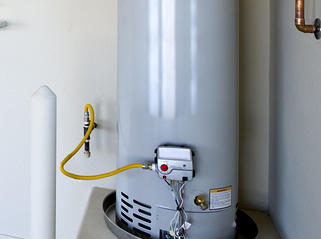 Most water heaters have an average lifespan of between 10-13 years. That means, as the water heater approaches the quoted age bracket, it is probably about time the homeowner started thinking of a possible replacement. It is advisable not to wait until the condition of the water heater is completely dilapidated before contemplating a replacement. This is because such conditions are potentially dangerous as they may predispose the home occupants to the risks of electrical shocks, leakages, and spillages besides staining the walls, ceilings, and floors. The task of water heater replacement is generally regulated by various jurisdictions within which the respective building may be existing. These regulations vary greatly from jurisdiction to jurisdiction and carry along certain penalties and other punitive measures. To avoid being on the wrong side of the law, it is necessary to familiarize oneself with these building codes and also adhere to them to the letter. It is quite vivid from the foregoing discussions that water heater replacement in Chandler, AZ. is not a do-it-yourself activity owing to its intricacy besides the need to comply with various statutory regulations. Consequently, the intervention of a duly-qualified, experienced, and competent building contractor is vital.